Intercom systems can be an integral part of production work, depending on the type and parameters of the show or event. My company serves a lot of corporate events, where intercoms are quite important in following cues and communicating between departments to facilitate changes on the fly. We wear headsets linked to our intercom packs, and there can be confusion in listening to the system and communications simultaneously. So when Point Source Audio recently announced a new headset, I was quite motivated to check it out. Billed as the world’s first modular intercom headset, the new CM-i3 has a slim-line design that uses factory or user supplied earphones (earbud or IEM custom style), coupled with a microphone mounted on a compact headband. A user can configure the system as a single- or double-ear headset, and remove either earpiece (or both) on the fly rather than having to take off the entire headset to check environmental sounds or interact with others. The in-ear design helps to eliminate listening fatigue while also accommodating the easy replacement or changing of the earphones. And, the entire assembly weighs in at only two ounces. Six different versions of the CM-i3 allow users to choose the model that is compatible with their particular intercom system(s). 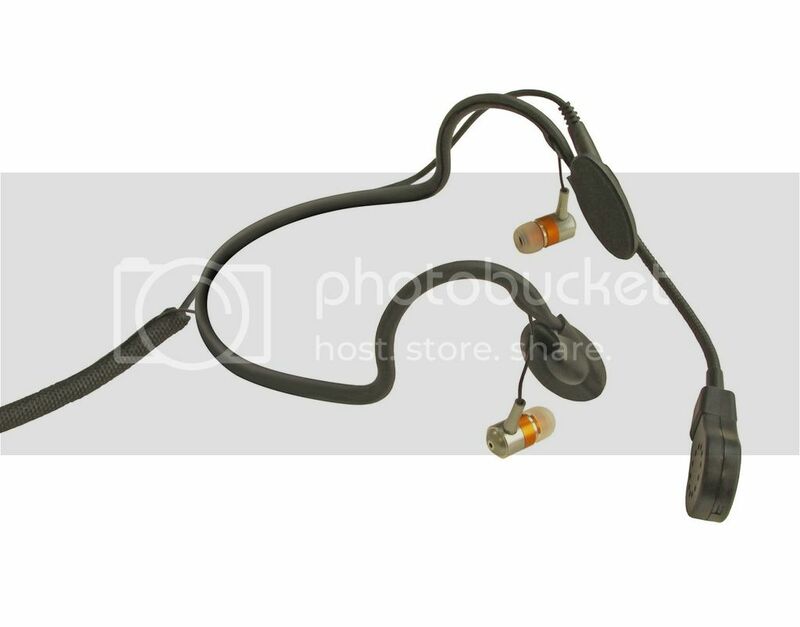 The CM-i3-4F (the model provided for this Road Test) offers a 4-pin XLR female connector and works with all Clear-Com compatible systems. Using the last two or three digits for identification, other models include the 4M for RTS mono systems, 5Ms for stereo RTS systems, 5F for Telex systems, 5Mm for Telex TR700/800 and TR80N systems, and PH with a 3.5 mm plug for Riedel as well as iPhone and iPad loaded with an intercom app. The CM-i3 frame is made of rubber covered wire and offers cushioned pads. It’s very easy to adjust to get a nice snug fit. Once adjusted, the headset stays put but doesn’t put a lot of pressure on the head, so there's no fatigue in wearing it. The rubber has paths that route the cables to an exit at the rear of the unit. I prefer the cables running down my back instead of at the side of my head; they're more out of the way. Both the mic and earphone cables are contained in an overwrap and are about four feet long, a good length for most uses. 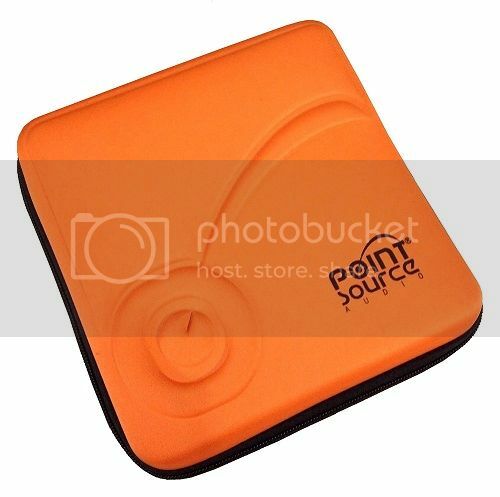 Point Source Audio also offers an expandable coiled cable (CM-EXT) that's 10 feet long when extended, along with a belt clip for an XLR connector (CM-BCP) to help in cable management. I plugged the headphones into a laptop on my desk and listened to a few tracks. The headset felt so comfortable and the earphones sounded so good I wore them while doing some track editing for a client. An hour later it struck me that I was still wearing the headset – that’s how lightweight and comfortable the unit is. On my bench in the shop, I set up an intercom system with two belt packs to further evaluate the unit. The mic performs great and the system sounded better using the earphones than my standard single muff units. I had several folks on staff check it out as well, and every one of them commented on the quality of the audio. Satisfied that everything was working as it should, I took the CM-i3 out to a few gigs. At the first event, I was freelancing as an A2, wrangling wireless mics at a corporate gig in a casino ballroom. The single muff headset provided by the A/V company had seen better days so I swapped it out for the CM-i3. When presenters came over to my table to get wired up, I could simply remove one earpiece and talk to them without having to take off the entire headset. And again, it was extremely comfortable to wear. I had some of the crew try it out as well and received nothing but compliments. Next up was a variety show where I mixed monitors. It was great to be able to take out either earpiece and listen to the stage for a bit without completely removing the headset. I also liked how I could turn it into a single “muff” unit when an acoustic act was onstage, and put both earbuds in for isolation when it switched to a louder electric act. Since I was seated the whole show I decided to place my belt pack next to the console. Fnding the cable to be just a little short for this application, I hung the pack back on my belt. 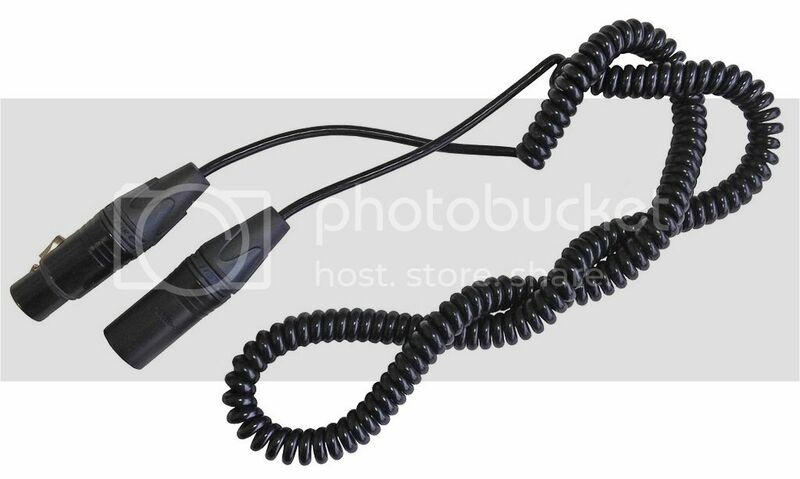 However, the CM-EXT expandable coiled cable would have solved the length issue in addition to coming in handy for moving around, expanding and contracting to take up the slack. The final field application was a corporate event, heavy on video program, where I mixed front of house from a riser in the back of the room. The client, director, video and lighting techs were also on the same riser. When they keyed their mics, the PA and video music flooded over the intercom system, hampering its intelligibility. But due to the excellent rejection of the CM-i3’s cardioid mic element, when I keyed my belt pack I injected far less of this noise into the system. The director commented about how great my mic worked and asked if I get one for everybody to wear after a break. He was more than a little disappointed that I only had the single test unit with me. And I must add that once again it was great to be able to use either earpiece and switch between them without having to take off the headset. I also discovered that I could wear my regular headphones over the CM-i3 when I needed to cue up and edit an extra audio track at the last minute. This meant I was able to get that task done without being off the comm system. All intercom systems users need to check out the new CM-i3. Flexible and convenient to use, and with excellent audio quality, it significantly enhances intercom communications as well as the ability to hear the surrounding environment when needed.